I don't intend to write a nostalgic post about it, though I planned to write a fully nostalgic one but that one was intended for sometime in 2012. And right now I am too inspired to write about college days after watching a video made by my college friends. It's not your pro or something but it does makes a connection. The video named 'A Line' tells us a story of a random guy and what all goes in his mind on the last day in his college. Though all you professionals sitting there may not be at all impressed by its quality. but knowing that this comes from a person who has never tried it before means a lot and the emotions it carry makes up for the quality. I am thoroughly impressed by this and it makes me realize as every second passes I am getting closer to my last day in college and I really trembles by mere thought of it. But there is not much one can do about it. It's inevitable and would come whenever it is destined to. Coming back to the video, it asks a real nice questions at the end, "Is it the beginning or the end...?" 'The world is round and the place which may seem like the end may also be the beginning'. We don't know what awaits us outside the college gates, is it something that would make all those exams worthwhile or something that would make us question our very reason of existence. But whatever it is, no one knows and nobody would know before the time and that is when one would cross 'The Line". Thanks to Sagar for the video. You need to check these out. The sites I mention here are not your 'ordinary' sites. Or should I say they have 'WOW' factor associated with them. May be I am exaggerating a little bit, but I really found these site out of the blue, either by a typo error or by clicking the wrong link, but whatever it was I was really fascinated when I cam across these sites..! Here, I mention some of them, may be you would like them..! Temporary.cc - Do check it out fast because you delay it further and you would never know even it existed. Yeah, I mean it. For each unique visitor it receives, it deletes a part of itself. These deletions change the way browsers understands the website's code and create a unique (de)generative piece after each new user. So, it can never be indexed and very soon it would fall apart entirely, becoming a blank white website. So, HURRY...!! Sixminutes.com - Aaahhh... What to say..?? It declares itself as a mystery site. And I have not been able to solve it. So try your analytical skills, logical skills or any other skills, and solve it but only if you can..! Its, SixMinutes -- The Mystery Site. http://www.shibumi.org/eoti.htm - The last one... But may be the bravest of all. It shows you The End Of The Internet..! It seems, the movie 2012 has to do something with it..!! So, these were some of the cool sites that I have came across while surfing the net..! May be not much there in these sites, but at least I found them worthy of a look and thought it would be nice if I shared it with you guys...! This has been quite an eventful day. Nice exam first of all, then good result. New friends made, some lost. A lot has happened today. But the end could not have been worse, doing text book programming for more than 3 hours now and don't know how much longer would it take to complete my Data Structure's practical file. I really wanna sleep but this programming thing is keeping me awake. And believe me, it's a terrible feeling..! Why does a friendship break when both of the friends don't want it to happen..? Can a person can change a person so much that he/she forgets his/her individuality..?? Why does people hide their feelings when they know it could really hurt in the end..?? Is it right to lie so that someone can be happy..?? Does a good friendship give you the right to forget your self esteem ? Do anybody have answers to these questions..?? If yes, would I ever meet that person..?? So, did you get a glimpse of my over stressed mind..?!! Well you can say that, I tend to think too much or can be relieved that you are not alone who thinks such useless things. Whatever you think or say, but if you can get me close to any of these answers, I would be really grateful. Now is the time for me to go and complete my file and leave this obession of mine for some other time..! First came the news of a GPhone..! Now Google is on a buying spree...! 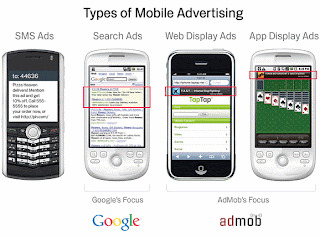 So, are we going to see now Google enter the mobile market and quite possibly destroy the competition..! My guess is as good as yours. No one can be sure when we talk about Google except one thing, Success..! Google has been the driving force behind Internet for quite some time now. And it does looks it would continue to rule the roost for quite some time too. There has been rounds that Real Time Search would kill Google or even Facebook and Twitter could possibly be the Google killers. May be. But I don't think so. And the reason why I think so is Google keep on revamping itself. It keeps on entering new markets as time depends. It is always developing and innovating. And why not, its GOOGLE. So, does it mean Google is the undisputed king of web..?? No, I have not said. And there are two reasons for that. First of all, internet is expanding so fast, you never know when a startup uproots Google from its throne..! Then Microsoft and Yahoo can bring a surprise any time. Also something like Kosmix can challenge Google. But what I really think the real threat to Google is Google itself. It's aims and aspirations. Yes, Google might be digging up a hole so big that could engulf Google itself. We have all heard about Alexander, the great. He had conquered the whole world and there was no stopping him, but his rule ended up. We had seen many great collapses, be that of USSR or that of Yahoo (Though it is said they have started their road "back to respect"..!!). Something like that could possibly be the end of Google rule. Though I don't see it in near future. But that's a possibility. Exams are really taking a toll on me. I am already tired after just a week of exams. And still there are a lot to come. But I have to manage them and there is no escaping from it...! Though there have not been much to cheer about since exams started but here comes something that had really given me a reason to forget about those deadly exams and be happy or in more philosophical terms be content with myself. I always knew that when these lengthy exams would start my blog is bound to suffer and so it has. I just checked out its Real and Alexa rank, both have taken blows. 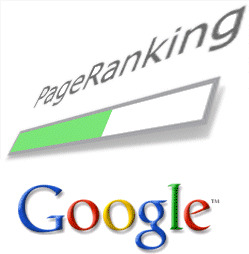 So when I saw my Google page rank was 2, I was over the top. It was really exciting to know. I am overwhelmed...! If you would check out the archives, you would notice I had also posted earlier that my blog had got a page rank of 2. Then what is this..?? As you must know, I earlier used to blog on www.jammyspeak.blogspot.com and few months back shifted to www.jammyspeaks.com. And due to this change my page rank was nullified. As I had told earlier in my posts that when you change your domain name all your data gets lost..! Same was the case with me. But now all is well and my blog is again ranked 2. So, its time to celebrate..!! Finally, jammyspeaks.com : I SAY WHAT I FEEL is looking up..!